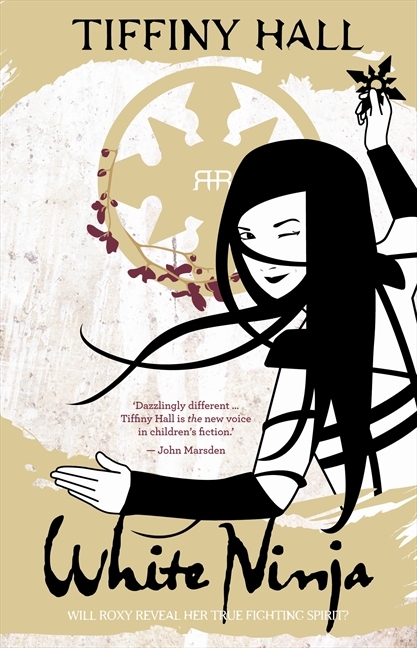 Roxy Ran is an ordinary thirteen-year-old girl who doesn′t know anything about her ninja powers until a confrontation with the school bully unleashes them. When new boy Jackson Axe introduces Roxy to the world of martial arts, she learns about the legend of the White Warrior and the powers that are trapped in the Tiger Scrolls. The White Warrior is hunted by both the ninja and samurai clans, and now Jackson and Roxy must find the Tiger Scrolls and unleash the powers of the White Warrior before the samurai do. And in order to survive, Roxy must unleash her inner ninja. I will admit that I was surprised at how much I actually enjoyed this book. I guess that’s the bonus you get when you don’t have any expectations. Some of you may recognise the name (I am sorry that I didn’t ) Tiffany Hall, as she was a personal trainer on the TV show Biggest Loser, she has also written books on health and cooking. She has a background in martial arts, so it makes it clear why she has chosen to write this book. The other thing you notice (well I did) on the cover, is the comment from John Marsden “Dazzlingly different…Tiffany Hall is the new voice in children’s fiction”. Getting that on the cover of your book is a big deal. In many ways, Roxy is a very normal teenager. Her older (cooler) sister ignores her at school, she is picked on by a group of boys, and because of this she hates going to school. The difference is, that her mother is a Ninja, and while that hasn't really meant anything to her, on one day when she is fighting back against the worst bullies, she discovers something very special about herself. There is also quite a bit of history in the book, about who ninjas are and how they came to be. The main plot in the book revolves around a long standing conflict between ninja and samurai, while I am not certain that this is accurate (it doesn’t have to be, the book is fiction) it does make an excellent basis for the action that takes place in this book. One of the reasons I think this book will do really well, is because it doesn’t sit firmly in one genre, so it will have a wide appeal. It has an element of magic, but it’s not really a fantasy novel, plus it has the elements of an action blockbuster, a school story as well as being a story about family. I really like the strong female main character of Roxy. Not every 13 year old girl who is bullied will have the benefit of calling on their ninja skills to get them through a tough day, but I think that she shows having confidence, and a belief in yourself is the first step. I also like that while Roxy has these newly discovered skills, she is still dealing with the normal teenage girl thing like, an annoying older sister, being bullied at school (although it becomes clear why this is happening) and liking a boy who seems to be interested in her sister. It’s the first of three novels (no date for books 2 and 3), so it’s a great new series to get started on.